It’s not too late to make your way to the Hamptons for Memorial Day weekend! If you’ve never been to the Hamptons for Memorial Day weekend, Sag Harbor is the place to go, whether you are with friends or family. Find out why below. AirBNB a beautiful house on the water. Or just stay at the local hotels, which include Baron’s Cove, Sag Harbor Inn, The American Hotel, or Forever Bungalows. Interested in performing arts? Go to the Bay Street Theatre to see anything from stand up comedians to plays written by Broadway stars. For those who love the outdoors, you have endless options. Rent a boat easily on www.BoatBound.com. You can kayak, water ski, or just ride with friends on the Sag Harbor bay. Sag Harbor Cycle allows you to rent a bike to around Sag Harbor or take the bike trails to East Hampton. 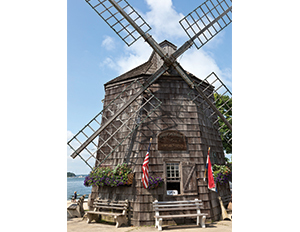 Learn more about the history of Sag Harbor at the Sag Harbor Whaling and Historical Museum. Get active and enjoy the views. Take a run or walk around the town or along the water. Sit outside and enjoy delicious cocktails and seafood at Dockside Bar & Grill. The Dock House is a seafood shack that you will never forget from their mouth-watering New England clam chowder to their delectable lobster rolls. In the heart of Sag Harbor is The American Hotel and Restaurant. Although a little pricey, it’s very worth it. Go to Murf’s Back Street Tavern for cheap drinks, darts, ring-toss, and pizza for a late night snack! The locals love Corner Bar to drink and hang out with friends all evening. It doesn’t hurt that Corner Bar is also known to have the best burgers in town.